This is one of my dream effects. This takes the card to impossible location theme and stands it on it's head. 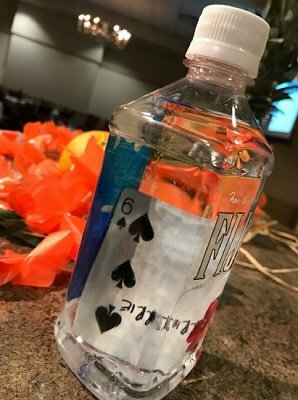 A signed card is found inside a sealed bottle of liquor, wine, beer, or water. The choice is yours. It leaves the audience with a moment of real magic that they can keep forever. You will create a keepsake that will leave your name on the audience's minds. I have used this method to guarantee repeat performances for Fortune 500 companies from Kellogg to Harley-Davidson. This is a reputation maker! 1st edition 2018, 8 pages.